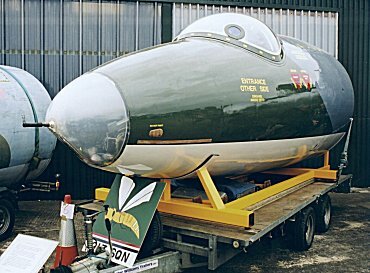 213 Squadron was the only unit to operate the Canberra B(I)6; in this designation the "B" stood for bomber, the "I" for interdictor and the numeral indicated that the aircraft was in fact a Mark 6 variant. In the early 1950s it was decided to create a tactical nuclear strike force to be based in West Germany. The aircraft to be used by this force was the English Electric Canberra. Initially a B6 was suitably modified to enable it to perform both a nuclear strike and conventional ground attack role. This aircraft was designated the B(I)6 and it equipped 213 Squadron the first of the four Canberra squadrons of this new strike force. 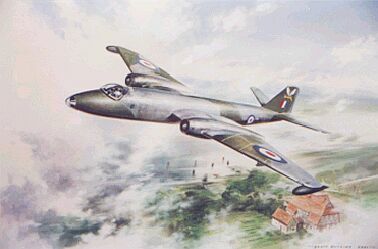 Once the concept had been proved the B(I)6 was further modified to create the Canberra B(I)8 with which the three remaining squadrons of this force were equipped. For the conventional ground-attack role a Boulton and Paul ventral gun-pack containing four 20mm Hispano Suiza cannons was fitted in the rear half of the bomb bay, each gun was provided with 525 rounds of ammunition, enough for fifty seconds of firing. The forward half of the bomb bay could hold three 1000lb bombs with another two fitted to pylons, one under each wing. Tony Collins is the owner of this beautifully restored nose of a 213 Canberra WT319 on display at a recent Cockpit Fest held at Newark Aviation Museum. Photographed and kindly donated by Les Bywaters. It has taken me 2 years to research, build and finish this website in dedication to a great squadron. Like the final entry above I feel a little sad that my work here is almost. done. My sincere thanks to all who contributed material and gave their help, guidance and enthusiasm in recording the Squadrons history on the world wide web. Above all, my greatest thanks must go to Frank Leeson without whos help I would still be researching and this project may not even have got started. 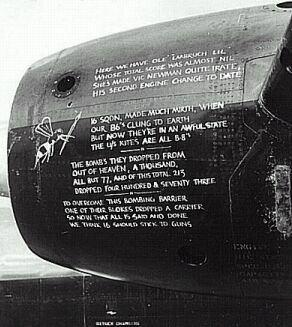 Despite the ammount of content here on this site this only scratches the surface of the Squadron's history. If you want to learn all about 213 Squadron then I can highly recommend Frank's book "The Hornet Strikes". Not only is the narrative extremely well written, there are photographs on almost every one of the 220 plus pages tracing the Squadrons history from 1916 until 1969. The book opposite is a link to the publishers. I doubt I will ever finish with this site. There are ex members who have yet to find it and offer their contribution so always look back from time to time. My thanks to you all and to 213 Squadron. Your history and this project has kept me enthralled over the past 2 years and will, no doubt, continue to do so for many years to come.